$10.00 BEF Membership may be obtained online here at become a BEF member. 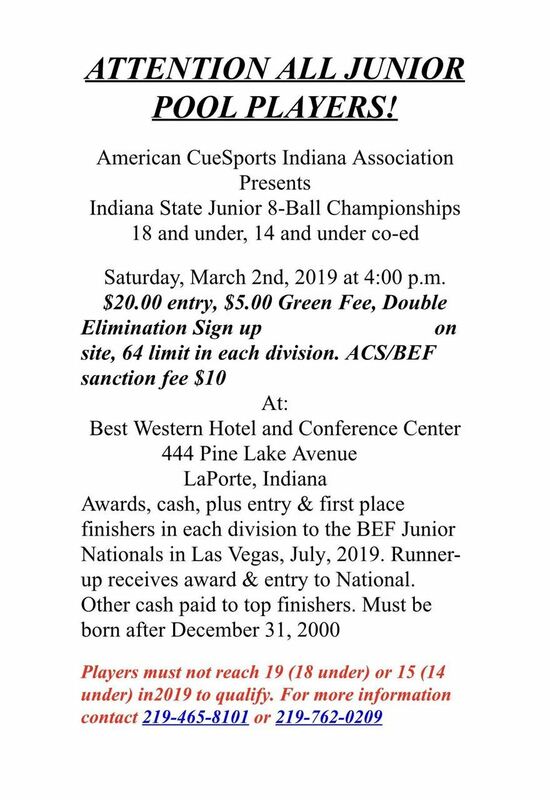 First and Second place winners will receive plaques and a paid entry into Nationals in Las Vegas (based on 16 or more players in each division). Event is limited to 64 entrants in each division.